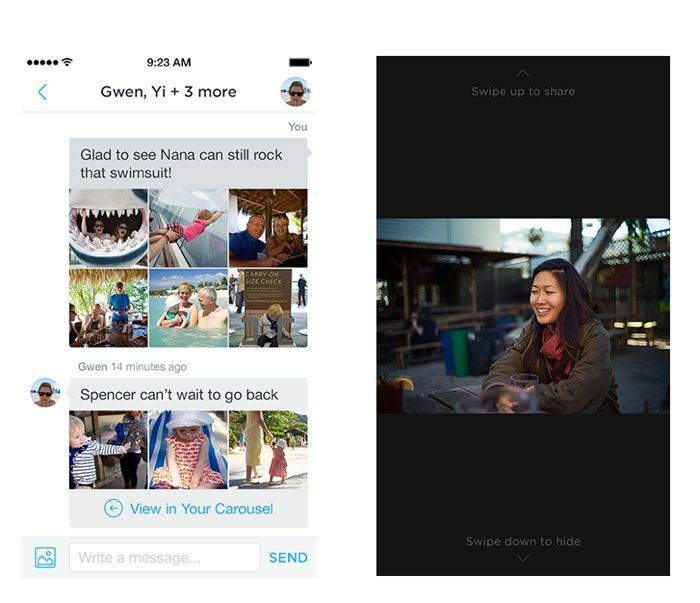 As well as announcing the new Dropbox Mailbox app for Android and the Mac, Dropbox also announced a new photo gallery app for photos and videos called Dropbox Carousel. The new Dropbox Carousel is a stand alone gallery application for Apple’s iOS platform and Google’s Android platform, and it will combine the photos you have stored in your Dropbox with photos on your smartphone. We’d like you to meet Carousel: a gallery for all the photos and videos from your life. It combines the photos in your Dropbox with the photos on your phone, and automatically backs up new ones as you take them. 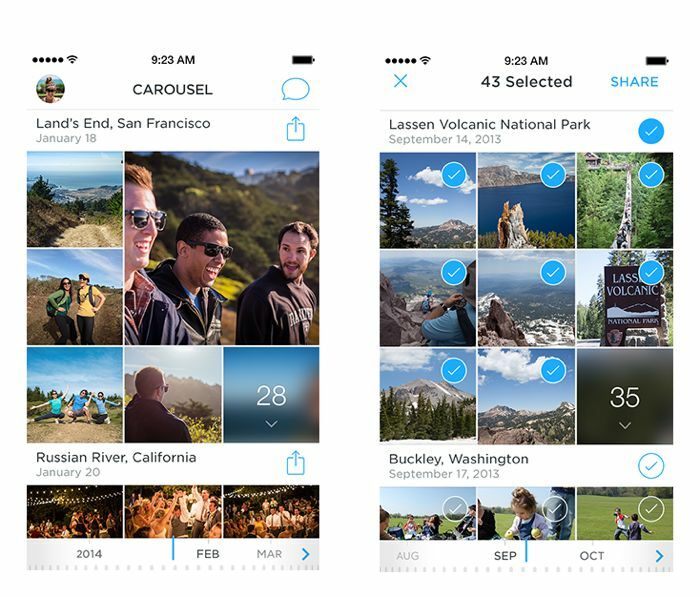 Carousel sorts all these memories by event so you can easily travel back in time to any photo from any date. And unlike other mobile galleries, the size of your Carousel isn’t constrained by the space on your phone, which means you can finally have your entire life’s memories in one place. We also think those memories are meant to be shared. That’s why we built private conversations into Carousel — as a way to relive entire events with friends and family. With Carousel, you can share hundreds of photos in the same amount of time it’d take to send just one by text. Even more, you can capture an event from every angle by saving the photos others share with you. The Dropbox Carousel app is available as a free download for Android and iOS, you can find out more details about the application over at Dropbox at the link below.